Back to school is the second most expensive shopping season of the year after the winter holidays. You need to know how to shop wisely to save money and avoid credit card debt. You can also use back-to-school shopping as a handy way to teach your children some good money lessons. So, let’s learn how to shop like a pro and use the opportunity to impart some financial wisdom. How the kids can help! Welcome to the Back to School Savings – How Kids Can Help. It is back to school time again. If you are a parent with children, that probably means an entirely new wardrobe for them. If you have a high schooler, that may mean you also need some kind of tablet or laptop. The good thing about back to school time, is it is a great time for you to start talking to your children about money, how to save, and how to spend. In today’s quest for financial knowledge, we’re going to talk about Back to School, tips on shopping, and how to talk to your children about money. These are some statistics about back to school spending. 80% of children will LOSE pricey items such as lunch boxes and clothing with in the first year! Here are some more statistics – most of these probably won’t surprise you, but I hope they make you rethink your shopping this year! This is a fun chart that shows where your money is going and how students lose what you buy for them! 43% of jackets, coats and outwear will be lost. 57% of hats and gloves, gone. 52% of school supplies are wasted. 36% of lunch boxes disappear and 14% of book bags are never brought home. Hold off on the trendier gear. Kids lose things and get bored of things quickly. The jacket or lunch box they had to have in August may end up lost or collecting dust by October or November. For those of you with teenagers, who feel they must have brand name to ‘fit in’, check out overstock stores, such as Marshall’s, Ross and TJ Maxx. Start at home; you might be surprised by how many supplies are in your home already. Send the kids on a scavenger hunt and whoever finds the most items on the teachers’ list gets a prize. Stick to a list. If your children are smaller and their teacher provides a supply list, don’t go off list. Odds are, any extra supplies you buy will be wasted. Plan lunch. When you are in control of lunch, you are in control of the spending. You can shop for deals, as well as use coupon. Lean toward bright colors. It helps things from getting lost if they stand out. Also, buy sturdy backpacks that will last longer and check to see if it has a warranty, like LL Bean backpacks do! Use cash instead of credit cards to pay for your back to school supplies. Paying for supplies with cash allows you to keep an eye on your funds and to stay within your budget. You can make use of the ‘envelope budgeting system’, where you take only the amount that you budgeted for in cash in an envelope and once that’s spent, you’re shopping hopefully is complete. Buy in bulk to save money on back to school shopping. When pens, crayons, and glue go on sale in late summer, buy enough for the rest of the year. You might also want to check prices at wholesale stores like Costco or BJ’s. You can get some incredible bargains on school supplies at the dollar store. Really! Start shopping in the summer months. You never know how long items will stay in stock. You can buy basic supplies, like notebooks and pencils, for a great price. Clothing swap parties are very popular. Getting a circle of parents together to exchange clothing and supplies is a fun way to get new stuff for free, save money and be environmentally friendly. There are many ways to save on text books. 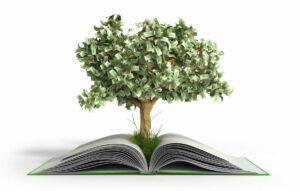 If you are able to find the electronic version of a text book, it tends to be less expensive. If your children are in college, you can save on books this way too. And it is also be less expensive to rent books than to buy. They can rent the books they need for the semester and once their finished, just ship them back and shipping is usually included in the rental price! When everything goes on sale at the end of the back to school season, stock up for next year! And don’t forget to take advantage of the tax free days available in your area. The back to school season is the right time to start teaching your kids about money. By including them in your shopping and budgeting, you can start good habits early. But, how early should you start? Experts say that children can start learning about money as early as 4 or 5 years old and you should use coins and small bills at first. Many parents have strong views about whether allowances should be tied to chores. Some parents won’t pay an allowance unless weekly chores are done. Others view chores as something kids should do as part of a family, and not be paid, but that’s up to you! How much should you give? On Average, most parents pay around fifty cents to a dollar for each year of age. Should you give chores? Many people are conflicted; they feel like you should teach your children to work for their money, but others view chores as something kids should do as part of the family. It’s important to be reliable and pay the allowance at a set time each week. Also make saving money part of the deal – If your kids are going to learn about money, then they should also be learning about saving money. Require them to set aside a portion of their allowance in a safe place. Discuss needs and wants. Kids may want to spend their money on all kinds of things, but make certain they understand the difference between needs and wants. 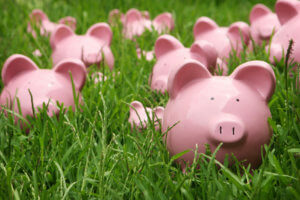 Make sure your children have a safe place to keep their money – a piggybank or a cash box with a key. Maybe even a bank account. Make a trip to the bank an event. 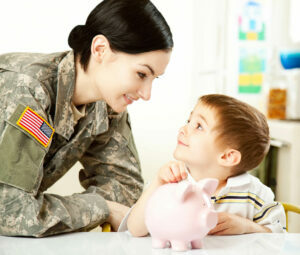 Help your child open a savings account, and encourage him to make regular deposits. Try not to Interfere. Try to keep your “two cents” to yourself. Allow your kids to occasionally spend foolishly, and when they need to make a purchase and they realize they are out of money, use it as a teaching tool. It’s important to have guidelines, but on certain occasions let the kids go out on a limb. Don’t use Big Bills If you’re paying your child $10 a week don’t give them a ten dollar bill. Break the money up into smaller denominations so they can separate their savings with the money they plan on spending – otherwise they may spend the whole thing. For special occasions such as a back to school shopping or a friend’s birthday, have your child chip in to buy the present. Help your children set up a system. For example, if you give them $4 a week, you may want them to put a dollar in saving, a dollar in giving and two dollars in spending. When they go to spend, make sure you show them the costs of the items so they understand that they may need to wait another week before they buy something. Back to school time is a great time to start teaching your children new concepts. For example, comparison shopping. Now that they have an allowance, and know that spending requires working and saving… start showing them the price tags. For example, if they want a twenty-five dollar backpack and there is a similar one for twenty-two dollars explain how much more they’d have to work or time to save up for those extra dollars. Quality vs Quantity is another thing that may come up. If spiral notebook has 250 sheets of paper vs a nicer looking notebook with only 50 sheets…, which’s the better deal? Have your children pay for small things. Pencils, pens, little stuff. Why not? Show them that sometimes, they need to pay for things they need instead of what they want. Also, if they want something that is overpriced or too expensive… tell them they can get it if they contribute toward it. That way it feels like they get a choice, but that choice comes with a cost. If they are a little older, use the store to help sharpen their math skills. Bring a calculator and add things up with them so they can learn the math of spending. Discuss limits with them, tell them when you go shopping for clothes that you are not spending more than $100. Then, using your calculator and showing them the price tags, have them add up the items they want to buy and make sure they stay within the limits! Make a shopping list together, or review the teachers-shopping list together. Make it known what’s important and what is less important so you can focus your spending properly. Teach Kids to Shop Around. One woman I know has a 7 year old who she gives $3.50 a week as an allowance. He knows now that whenever he wants something big, like a Lego set or a video game, he has to save for it. One day, he tells his mom about a video game he wants. They go to the store and see that it is $39.99 new. So, she tells him at the rate it will take 16 weeks to get the game. Well, he is disappointed but he understands the system and accepts it. She then tells him…that perhaps if they go to another store and look elsewhere he may be able to find it or less, so they do. They go to a few other stores and end up finding it for $34.00. Well, now he is excited because that shaved almost 2 weeks off. After a few more weeks of saving, they go online and found it used for $28.00. At this point, her son was extremely thrilled. The next time he wanted a big-ticket item, he immediately asked if they could go online and shop around. Doing this regularly will make it a habit and can save them money in the future. Now let’s talk about talking to Teenagers about Credit Cards and Getting Started with Plastic. Once your teenager has their own checking and savings account, think about giving them a debit card. Since young people are so in tune with technology, it will be easy for them to keep track of things with phone apps or bank websites. But they need to watch their account balance and not let it hit zero! A joint account is another great way for a parent to monitor their teenagers spending. When under the age of 18, a teenager cannot get a card without parent’s signature, but your teenager should be responsible for paying the bill in full. You should take the time every month to review statements. Remember, they need understand that the card is for emergencies or items that you have previously discussed, like gas for their car or other ongoing essentials, but not for leveraging a lifestyle. Another option is a secured credit card tied to the teen’s savings account. The card’s limit is usually equal to their account balance. If the teen misses a monthly payment, the bank takes it directly from the savings account. This type of card also helps build a credit history. Finally, there’s the option of making your teen an authorized user on your credit card. It’s convenient, it’s easy, it’s commonly done — but it could result in a mega splurge, potentially putting your budget, and good credit score, at risk. Supervision is the key. As with the joint card, parents need to review and discuss monthly credit card statements with their teen and should be monitoring expenses too. Your child should be keeping track of all they’re spending, rather than waiting to be told at the end of the month what they owe. When a parent authorizes a teenager to use a card, the credit bureaus will report the use of that card under the parent’s name, but because the child is not technically responsible for paying the bills, being an authorized user may not have a huge impact on their credit score. But it can help those with little or no credit history beef up their credit files. This can enable the teen to establish a credit history by piggybacking on the parent’s good credit history. And the reverse is true as well: If a parent has a poor credit history, the teen will start his or her financial life with a poor credit history too. Because children under the age of 18 can’t legally enter into a contract, the parent is the one who’s legally responsible for the debt. This is a simple chart that shows the pros and cons of each type of card. A PRO of a debit card is that it is easy to set up and it uses your money that is in the bank. The Cons are you have a risk of over drafting and incurring fees. It will not build your credit history. With Prepaid or Stored Value cards the PROS are that the spending limited to the amount loaded on the card, you can check balances online, and employers can load wages onto some cards. The CONS are that you will pay fees for activation, loading money, and for monthly maintenance of the account. It will also will not build credit. Joint Credit Card pros are that it will help build credit but the Con can be that both the parent and teen are responsible for the debt. 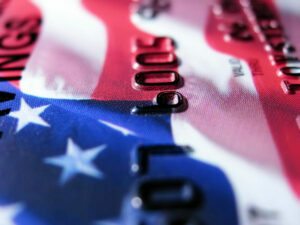 Secured card pros are that they do build credit and you control the amount that can be charged by setting the balance. The con is that it may have a high APR. For an Authorized User Card – the pro is that they are easy to use, but the cons are that the parent is solely responsible for the debt, it uses the parents’ credit and may put the parents’ credit at risk if the child uses the card irresponsibly. Now let’s talk about the most important topics. Kids need to understand that it’s not your money – it’s credit and it is not free. The longer you take to pay it back, the more it costs. Remember, you are using the banks money. Make sure you explain to them they can either pay back everything they borrowed at once, or they can pay back over time … but if they do so, interest will kick in. Teach them they should never rely on credit cards. Explain the credit limit. Make sure your child knows they cannot exceed it. Try to explain further, that the closer to get to it, the worse it looks. Parents have an immeasurable amount of patience with kids and kids often take it for granted. Kids have to learn that everyone won’t as patient with them, especially not businesses and especially when it comes to money. This is something you need to emphasize… I still have many friends who didn’t realize how long bad credit would follow them. Credit Scores are hard to discuss, but explain it like a grading system. The better you use credit, the higher your score. Again, should be self explanatory but…make sure they know that they should only use their card to buy things if they can pay it back. We hope you enjoyed this information and have a great Back to School experience. If you would like to learn more and get free online access to tools that will help you improve your personal finances, visit us at www.ConsolidatedCredit.org. We have tools to help you become debt free, use your money wisely, plan for the future to build wealth.